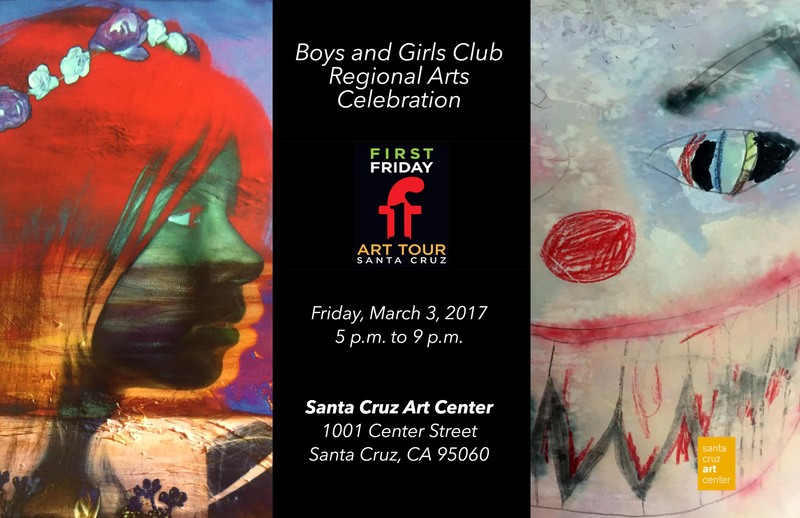 Boys & Girls Clubs of Santa Cruz County is proud to host a celebration of the arts in honor of all regional club member artists who participated in this year’s Pacific Regional Arts programs and competitions: the National Fine Arts Exhibit, Image Makers, and Digital Arts Festival. Join us at the Santa Cruz Art Center Food Lounge front dining area and atrium for food, music, and art. 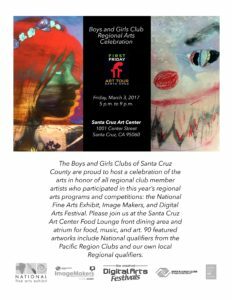 The 90 featured artworks include Boys & Girls Clubs National qualifiers from the Pacific Region and our own local regional qualifiers.